Oh no! We’ve had an egg spill at the pool. How many colorful eggs you can collect? 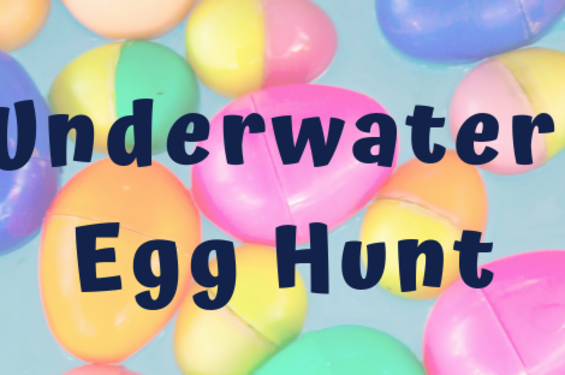 The Underwater Egg Hunt will take place on Saturday, April 20. Registration is $1 per child. Register for one of two waves at 10 a.m. or 11 a.m. Register online and search "egg."